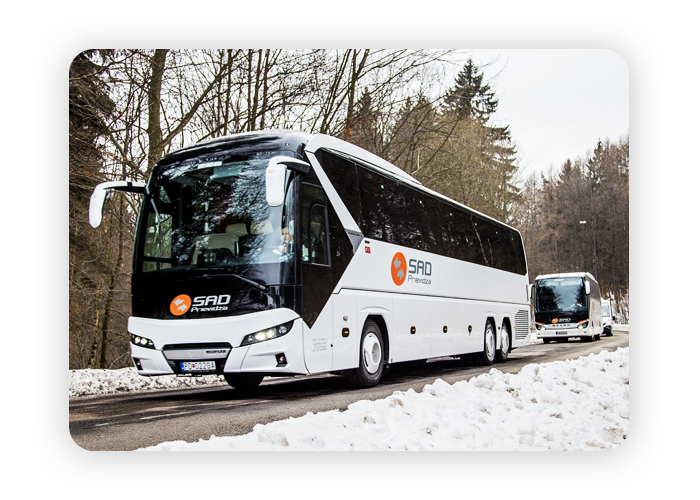 Due to the high demand of international tours and sightseeing, the international tour´s transport department was created to serve the tourism (primarily from Asia), taking tourists through East and West countries of Europe and Scandinavia. 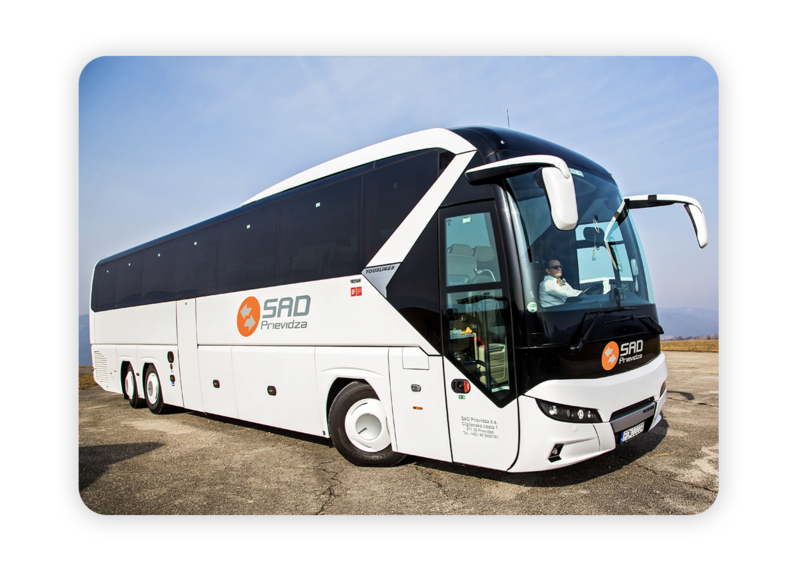 The most favourite type of vehicle for such travels was gained by SETRA, therefore 80% of the International transport fleet carry this brand. Each bus used by the International transport department is less than 1 year old. The buses rarely stay in Slovakia, and pick up and drop off points are usually in different countries. 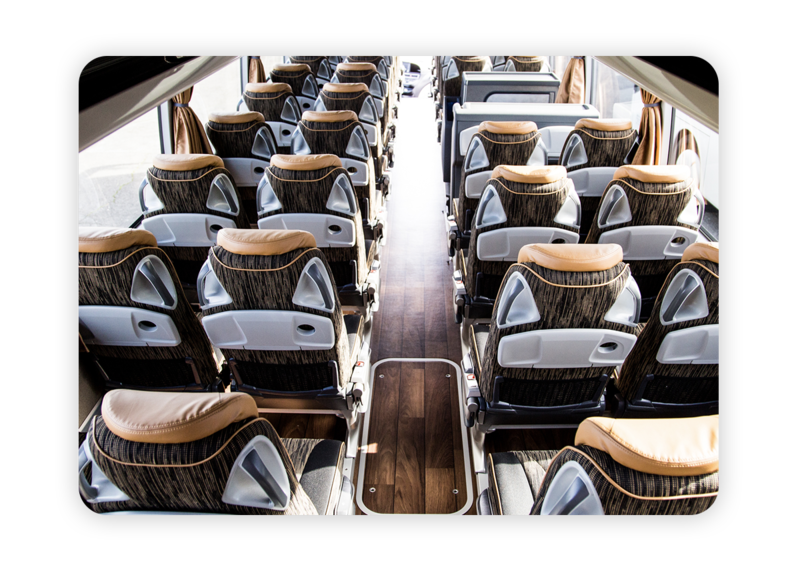 The comfort and safety along with technical and visual perfection of the busses shows the high standard and values which this company is proud to present. In 2017 the Slovak tourists’ club Horná Nitra Prievidza planned 40 hiking tours for its members and the general public. 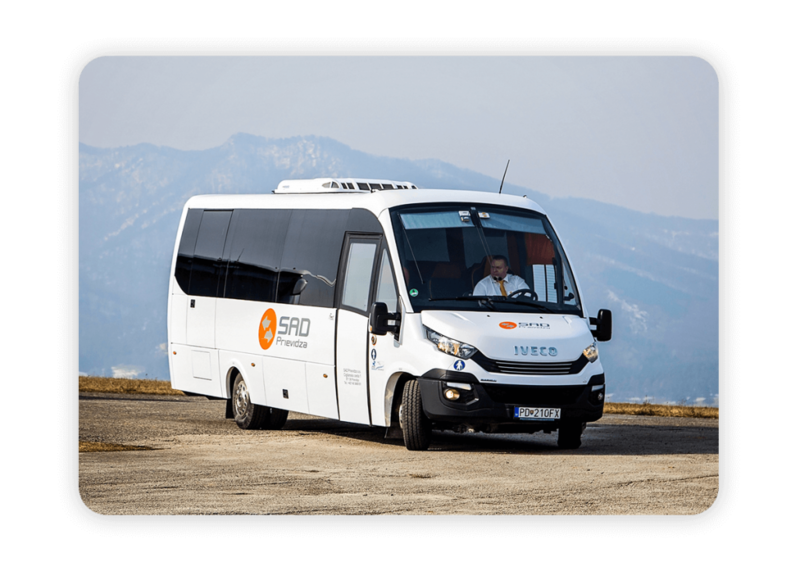 To transport the tourists into the start up location we ordered buses from company SAD Prievidza. Based on the public demand for some tours we needed to order 2 buses at the time. 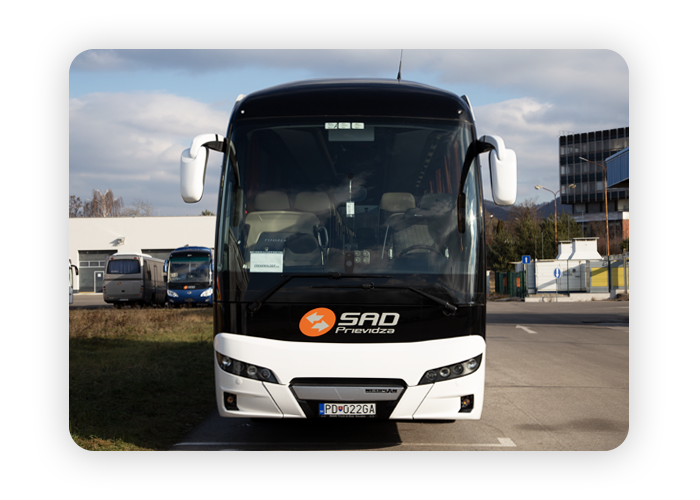 SAD Prievidza was a great partner to accomodate our needs with their professional approach and high quality buses. We have a very good experience with company SAD Prievidza that we have been using for several years. Long-term cooperation is seamless and we appreciate its professional approach and reliability. Our transport requirements are always satisfied by skilled and experienced coach drivers. 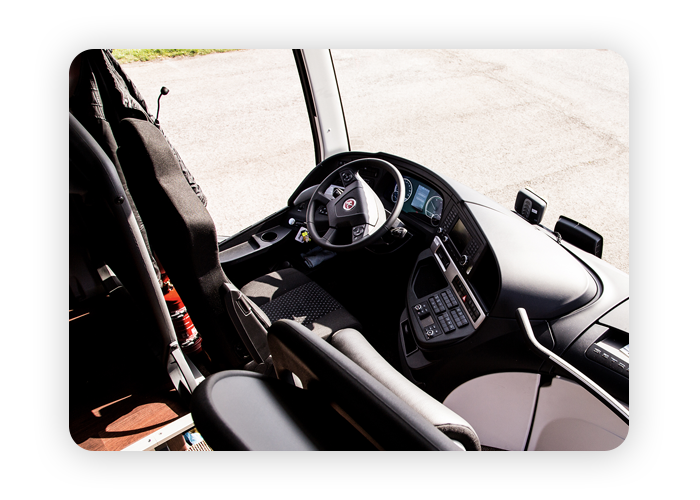 The buses, which company use to transport our employees to work are high quality and always in excelent conditions. We regularly use them to transport our VIP clients as well to various business leisure events. We look forward to cooperating with SAD Prievidza also in the coming period. SAD Prievidza has been CK PEGAS TOUR’s contractual partner for more than ten years. 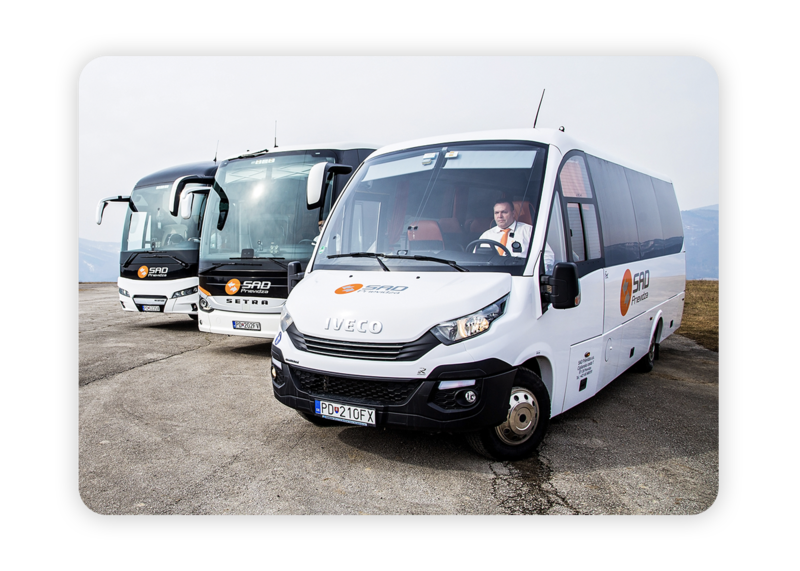 Excellent co-operation with business management, quality buses, driver´s reliability, and last but not least, the knowledge of destinations by drivers was the key to long term cooperation. The advantage as well is that SAD Prievidza has three plants each at diffent location that cover the broader geographical region. Travel agency Turancar is known to the public by having its own buses. However, the activity of a travel agency is so extensive that our own buses are not enough to cover our business needs. Therefore we’ve decided to find a stable and reliable partner. I am very glad that we decided to cooperate with SAD Prievidza two years ago. 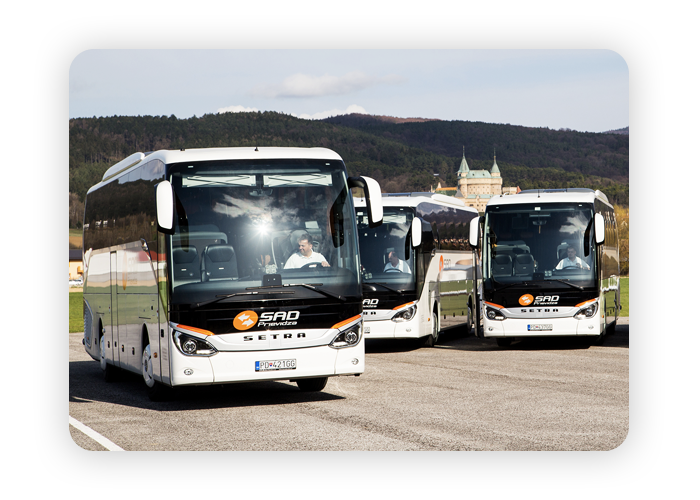 Very good co-operation on all sides, new modern buses, experienced driver´s crew. SAD Prievidza is more than a reliable partner for us!